I was contacted by Trotters Childrenswear and asked if we'd like to review the Milo Body, an item Prince George has recently been seen wearing. If it's good enough for royalty I was definitely more than happy for my own little prince to try it out! The Milo Body is made in the EU from beautifully soft jersey. With its traditional piped Peter Pan collar, this body is bound to become a wardrobe staple for your little ones. Team this basic body with stylish dungarees, or with trousers to complete the look. The fastening with poppers down the back and along the leg seams ensures that dressing will be easy. When I unwrapped the Milo body the first thing I noticed was how soft and cosy it felt. 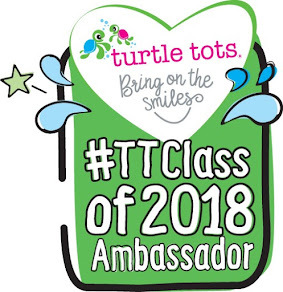 Made from 96% cotton and 4% elastane, the quality is excellent and the stretch means it could give your little one that bit of extra wear out of it. I ordered size 18-24 months as Eliot is 18 months on Boxing Day and most of the clothes he wears now are in 18-24 months. I think the next size up would have been a better fit for Eliot as there would be more room for him to grow into it. 18-24 months fits him but I'm not sure how long it will last. Eliot is big for his age though and looks about 2 already! I LOVE that the Milo Body has poppers at the back! I don't know about you but I often find it tricky getting clothes over Eliot's head, so this feature is a big plus point to avoid mini tantrums when dressing your tot. If I'm honest I thought the Peter Pan collar might look a bit 'girly' but I was wrong and I really like the look. 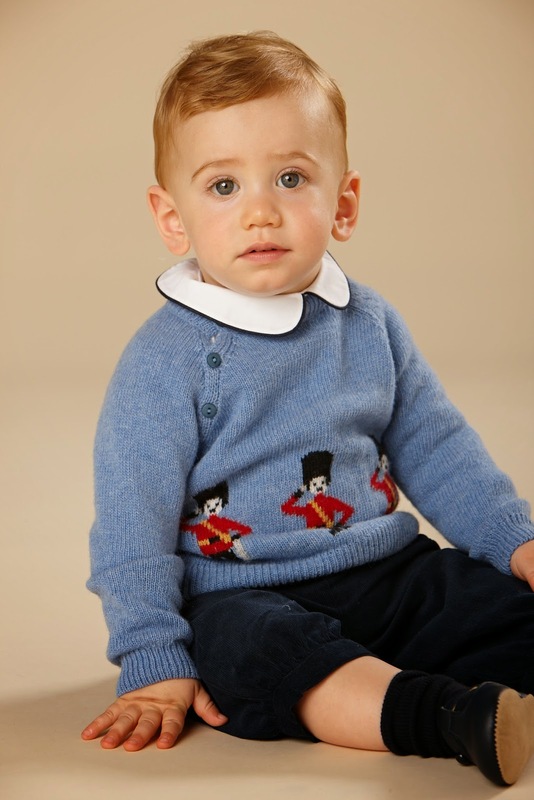 It adds that 'something' to a simple, yet staple item in your little ones wardrobe. I think the Milo Body looks great teamed with dungarees, the collar detail stands out in a subtle way (if that makes sense!) to give the outfit a different look from the usual round neck collar. With it's long sleeves (also available in short sleeves) it's ideal for layering up in the colder weather. I think it would look fab under a wolley jumper with the Peter Pan collar visible over the top, as below. 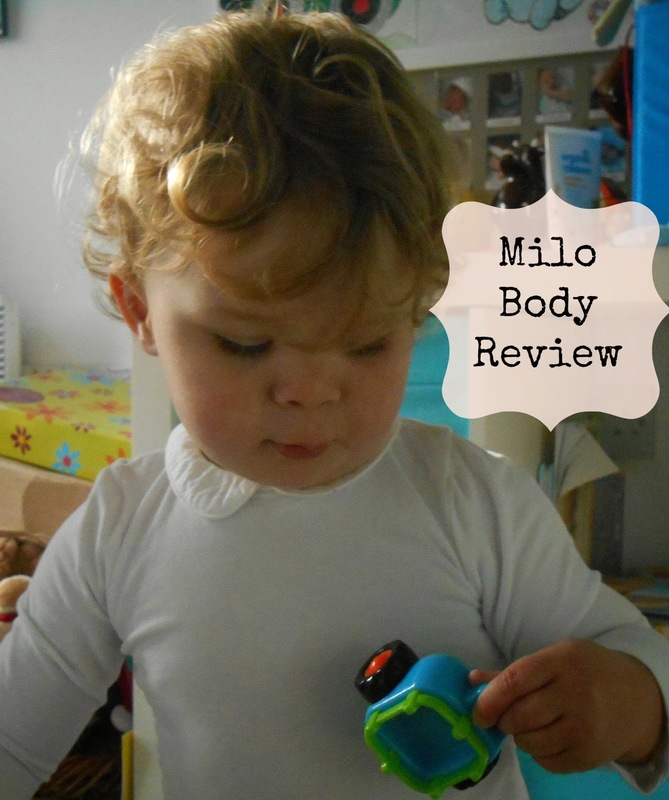 I definitely recommend the Milo Body if your looking to add to your tots staple collection! Have you bought any items from Trotters?